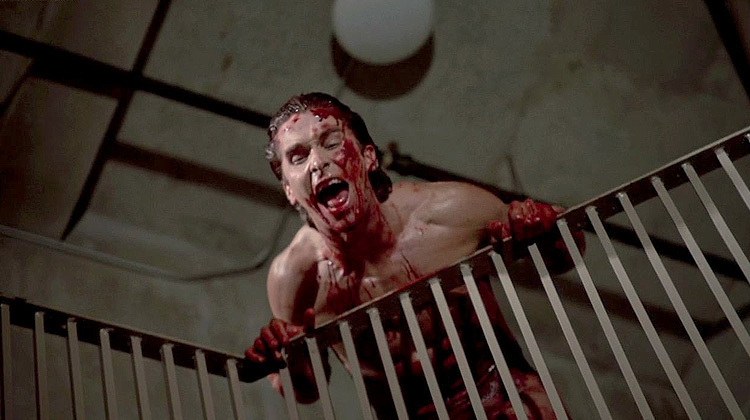 FX must be smoking something bad, an AMERICAN PSYCHO tv sequel is in the works … What?! Ok, what is getting smoked by FX and any of the others who are developing every single type of film to be a TV show? These ideas sound absolutely terrible, and this one really takes the cake in bad ideas. FX the network that has brought us the likes of SONS OF ANARCHY apparently thinks AMERICAN PSYCHO is a great idea for a TV show. The pitch is that it will be a sequel, umm have they even read the novel by Bret Easton Ellis? It is in the development stage right now, and it will need to be greenlit if it is to actually make it to screens. Here’s the pitch: In the new drama series, iconic serial killer Patrick Bateman, now in his mid-50’s but as outrageous and lethal as ever, takes on a protégé in a sadistic social experiment who will become every bit his equal — a next generation American Psycho. No, just no! None of this makes much sense, especially if you really got into the mind set of what the novel really had to say. Anyway we’ll see what happens, but please can this awful, awful trend just stop already?